This year, rates range from shoulder season specials of $45 per person including golf, cart and a light lunch. Regular walking rates range from $40 to $50 with twilight/early mornings from $20 to $30. 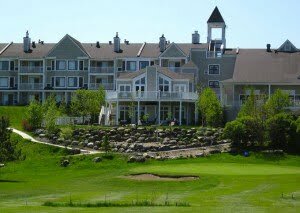 One-night packages per person including full breakfast, golf and cart start at $121.50 to $185 with four-course meal in superior accommodations. Apres golf activities: Take advantage of a wide range of Château Bromont Spa treatments and an oriental-style hammam surrounded by landscaped gardens, waterfalls and a whirlpool bath — the only one of its kind in Quebec. An adjacent bike trail joins the 3,000-kilometre Route Verte. Dining options include the popular Les Quatre Canards restaurant with signature Lac Brome duck and an extensive wine list. Le Royal Bromont, a public course designed in 1992 by Graham Cooke, hosted the 1994 Canadian PGA Championship and appears on Golf Digest’s 2012 Best 100 golf courses in Canada. 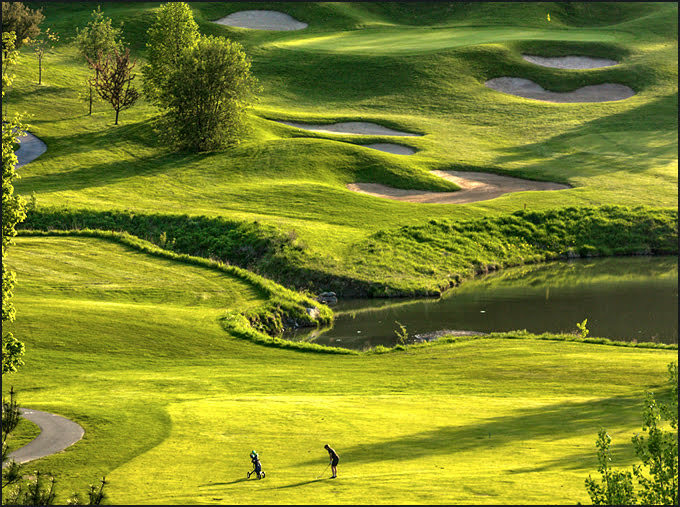 A par-72 track, Le Royal Bromont ranges from 5,181 to 7,036 yards and features bent grass greens, fairways and tee areas and white silica bunkers. As with most Quebec courses, pesticides are banned. Green fees from $25 to $70. On the the 5th, aim further right than what your eyes suggest, otherwise your curving downhill tee shot will hit the woods on the left. The 6th, 10th and signature 16th all feature elevated tees. Greens fees are a reasonable $38 to $42 but do not include cart. Best to go for the golf/cart/three-course dinner package for $77 or a Stay and Play package in one of 117 rooms and suites with mountain or lake views. Rates range from twilight/off season specials of $30 to weekend high season rates of $60. Lovely photo, and great details on spa, pools, biking and dining. Sounds a destination that even non-golflovers would like to tag along to!